SPE Chicago is a proud supporter of the Plastivan program! To inquire about the Plastivan visiting your school or to sponsor the Plastivan, Contact Us! 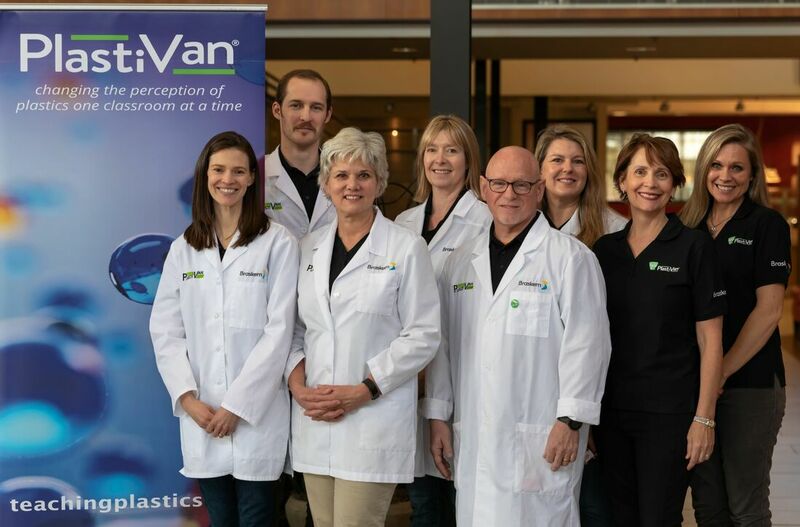 Through lively demonstrations and hands-on activities, the PlastiVan® Program is designed to excite students about opportunities in science and engineering within the plastics industry. Students are educated about the chemistry, history, processing, manufacturing, and sustainability of plastics and how the science and real-world applications relate to their everyday lives. 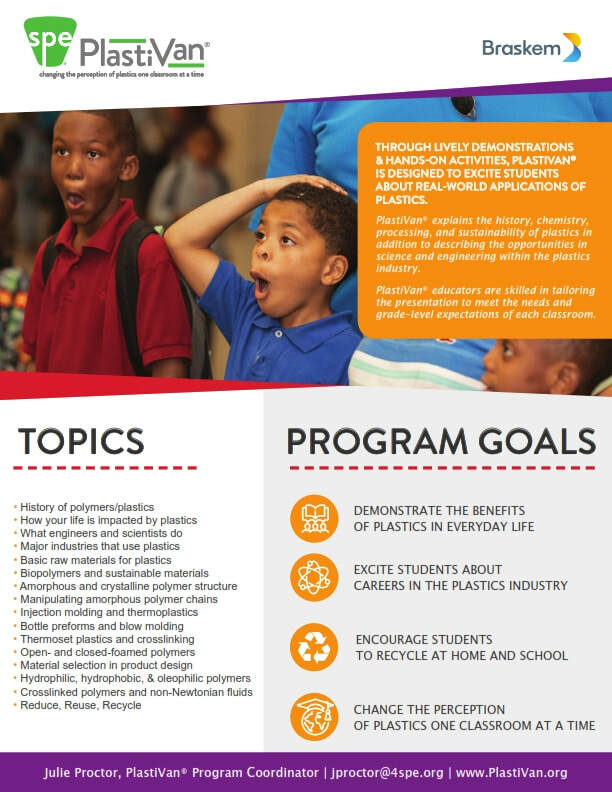 PlastiVan® provides sound science and educational programs which spark scientific curiosity in students while increasing their knowledge of the contribution plastics make to modern life; encouraging them to seek careers in engineering. PlastiVan® educators are skilled in tailoring the presentation to meet the needs and grade-level expectations of each classroom and teacher. The program is easily integrated into school curricula. A PlastiVan® visit typically consists of 5 classes/day for up to 40 students/class or is individually designed for STEM and science fairs.